Getting to the ‘root’, what is a keylogger? Well it’s a program or device which records all keystrokes, which could be used overtly for surveillance or covertly for spying. Either way someone is watching! In today’s society with the advent of technology in all its guises, the ‘keylogger’ is a direct intrusion to all concerned when we use our computers, smartphones or any smart device connected to the Internet. It’s the scourge of working over the Internet, concealed deviously, yet sophisticated in its execution. Working unseeingly in the background it compiles all your keystrokes and despatches this data to a server unknown to you for the next stage of its mission. 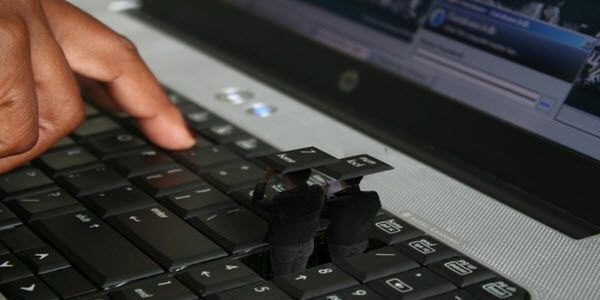 And to protect computer from keyloggers, you need to do some solid countermeasures. Now don’t be misled; as I gestured above, the keylogger doesn’t just focus on computers, it’s interested in any device, where ‘you’ the user interacts with a key board (now think lateral here). So your phone (for example) is also susceptible, there no delineation here, all is fair game! There might be an Android keylogger monitoring keystrokes of your cellphone in the wild, and same goes for iOS and others. Probably the most proactive entity here is you, the ‘user’. Implementing self discipline is a key factor, after all it’s what you do will either protect you or hang you, so what do you want! The referenced links do have commonality, so in overcoming this threat isn’t rocket science. What is important to you, your banking details, photos of loved ones or booking your next holiday? Only you know the answer. You want to avoid dangerous Keyloggers, well that said any keylogger is dangerous, so the key here is to protect yourself and protect all devices from keyloggers’ spying. Tools in your armoury ….. Using Defence.NetTM provides real time security updates. 90 million people globally can’t be wrong! Ultimately it’s your computer policeman 24 x 7. With more than 85 million users in over 100 countries, protecting more than 600,00 businesses globally! Clipperz which is an online vault where you and your data are oblivious. Everything is locally encrypted in your browser, but the encryption key is ‘paraphrased’ and only you know the key. It stores passwords and other confidential data, it’s anonymous and transparent, all the entities you need. Keepass or KeepassX with the latter for Linux or Mac OS. The need to remember and manage a multitude of passwords becomes unmanageable. but with this free tool, you only have to remember one, which puts you in control. LastPass is another free tool, which is simple and fast with effortless browsing, which is just what you need in today’s society. With hassle-free login you can centralise your data and streamline online shopping, by just remembering one password. An empowerment so you know when it’s active. Using a key scrambler software helps a great deal to protect device from keyloggers, and as for this tool over a million people globally use this product. So, something must be right! Over 50,000 users have upgraded to Premium, giving you even more functionality. Anti exploit, so Stop the exploitation! A popular program which wraps four layers of security around browsers. The specialized shield is good for Microsoft IE, Mozilla Firefox, Google Chrome and more. A repair tool for system recoveries. Trend house call will make a ‘Free’ house call to scan your computer to identify problems that exist on your computer. This is a highly recommended process that’s worth doing on a regular basis. Why should your privacy be intruded on! It’s your data and it’s your choice and no doubt you’d find a lot more! There is a cost, but you only get what you pay for! Don’t be lazy, security is a puzzle game and a number of things come in to complete it. And in case of protection from keyloggers you’ve all the pieces with you to merge together. These tools are there, some free and other you need to pay for. It’s your data, ultimately you need to protect yourself from the bad boys out there, the ‘Cyber criminals’. It’s your decision, so how does your ‘Risk’ management line up with this subject. Are you risk averse? Or is your risk management in line with the threats. Don’t lend your devices for others to use …..
And so these will change, as we will change! I trust you will take heed to the contents of this article to avoid keyloggers, it’s for your sake. The threat will always be with us, and no doubt it will change just like the ‘Chameleon’. However, a critical factor here is coming back to the ‘keylogger’. Who introduces the threat, why it’s you. Whether arrogance, ambivalence or just plain ignorance. After all, you just can’t resist the temptation to click on that link, can you! And how can this be summed up, ‘A lack of discipline’, because like it or not in today’s world, with all the threats, you have to be ‘Disciplined’. Be careful out there, and just say ‘No‘ to ‘Keyloggers‘.